Kiss Dry Lips Goodbye—For Good. An ultra-nourishing lip-plumping mask treatment that drastically conditions lips for a smoother, softer, fuller-looking pout. Formulated with a unique blend of high-performance oils and natural emollients, Enhance delivers intense hydration and helps restore maximum moisture for pillowy soft, more defined-looking lips. Dry, cracked, parched lips—listen up. Introducing Enhance, an everyday pout-restoring Lip-Plumping Mask that doubles as an overnight treatment to deeply condition the lips and boost the appearance of suppleness. Infused with a soothing blend of skin-transforming oils and natural emollients, this ultra-nourishing lip plumper helps deliver intense hydration to improve the appearance of dry, chapped skin with each use. A powerhouse peptide works to help improve the skin’s appearance for visibly fuller, luscious-looking lips, while a botanical bio-polymer creates a moisture barrier for intense hydration that lasts. The cooling metal tip applicator gently adheres the softening balm to lips for quick absorption and mess-free application. When used regularly, lips appear fuller and feel soft, supple and smooth to the touch. Apply a thick layer before bed as an overnight treatment. Generously apply mask to your lips throughout the day, as needed. Amazing product and applicator! Truly helps keep my lips moisturized all day. Sheer and lightweight. I apply in the morning and evening for best results. Definitely my favorite compared to other lip products. I love this product! I use it every night before I go to bed and I wake up with perfect lips. For added moisture and fullness, I apply it in the morning. The texture is perfect; it glides on smoothly and does not leave your lips feeling sticky. I love, love love this lip mask. I use it throughout the day as a gloss and at night as a mask. It's very versatile and it really helps keep my lips hydrated! Love the applicator, cools on touch! Smooths and hydrates lips and makes a great nighttime treatment just apply to lips as well as all around lip area up to below nose and go to bed and wake up to incredible soft and smooth lips and it does a great job in plumping the small lines around lips 5⭐️ Product I highly recommend! My favorite all-time lip product, hands down. Its's luxurious, it's moisturizing, and most definitely enhancing. I always get compliments on how plump and pretty my lips are when I'm wearing this. It's the right texture too, not sticky or tacky. Love that it doesnt taste or smell bad but also doesn't have those artificial scents. Immediately loved this product and how much moisture and softness it brought to my lips. I typically have chapped lips and this balm has been fantastic to counteract that! Best I’ve ever used! Had it on all week through samples. Now I’m ready to have it for life. I have told friends and family about this product. It’s easy because everyone asks about my lips. They comment on how beautiful they are. So I give them my secret. Love this product! Highly recommend it. Consistently helps condition weathered lips from Skiing and sun exposure. Also fun for prepping for new boyfriend! My lips tend to get very dry during the fall and winter months. I've been using this for a couple of weeks and have noticed a difference. My lips don't get as dry and cracked. I really like that it's so easy to use. It's just like putting some lipgloss on and that's it. I will definitely continue to use. Good stuff! Absolutely love the brilliant design, having the cool tipped applicator makes you just want to reapply over and over. I wish that it hydrated a little more. However still a great product. My lips feel very hydrated after using this product. I love how they feel after I apply it. The taste is nice too. Great balm for with or without lipstick! My lips looked great. They went from slightly chapped to very moisturized, overnight. I didn’t experience any more burning of the chapped lips. This product rocks. It also tastes/smells great. Very peppermint. Soft and full. Love wearing it at night while I sleep. Love! Love! Love!❤️I will definitely order again and again! I love Enhance! This is the first lip treatment I've used that is not sticky. The applicator is unique and easy to use. I use this every night, and no longer have chapped or peeling lips. Great moisturizer! Especially like that it is colorless. The no-mess applicator smooths on a fresh minty layer that absorbs quickly, keeping my lips soft but not greasy or waxy. Enhance lip life saver is what I call it has been my new go to especially in the cold winter months. I always have dry lips all year long. I always carry some sort of product for my lips with me but it must be cruelty free. 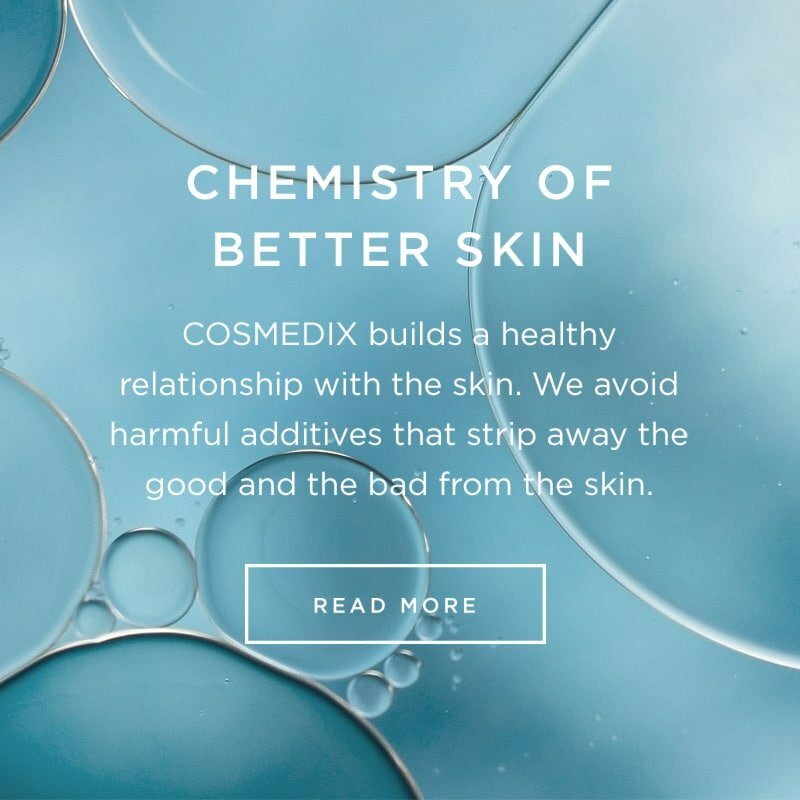 I love cosmedix products & when I saw this, i had to try it. It definitely delivers. My lips are improving. What i love the most is that this product is not sticky feeling nor does it saturate my lips with to much shine. So its a win win for me! Have used many lip products and this is truly my favorite! Love the way this product makes my lips feel! Love how this makes my lips feel and love that the applicator is cold as you apply it! Great for the colder weather! Wonderful lip treatment! Loved the feeling of the balm and the results! Best defense for keeping lips plump and smooth. Just picked up this product, and I'm really pleased. Amazing for older lips. I'm 51 and your lips always show your age. I haven't had the dried cracking pale lips. I use always at night, and after my last meal in the morning so I can keep my lips plumped till noon. It has a light shine which I love. I love how soft my lips felt, but I didn’t notice them looking any bigger. Upon reading the name "Lip-plumping mask" I was skeptical, however, this product amazed me BEYOND measure for various reasons. (1) it is not a drastic lip-plumper and more so supple, (2) smells great (and taste is better than anticipated), (3) leaves my lip super nourished. After the first use, I noticed my lips were soft, hydrated, and love that I can use this alone or prior to applying lip gloss...just in time for cold weather. I have very dry lips and Enhance helps to keep them plump and soft all day long. The formula has a really nice consistency that leaves my lips smooth and not sticky. The applicator is amazing, too! When I first tried Enhance, my lips were in bad shape—super chapped and cracked right down the middle, even to the point of bleeding. I applied Enhance throughout the day and overnight and I woke up to PERFECTLY hydrated lips! Seriously, I couldn't believe it. I'm a huge fan of the Laneige Lip Sleeping Mask and this one is super similar, but with the added benefit of a slight plumping effect. I also like the packaging of this one way more. This is my new go-to lip product! I absolutely love this lip mask. My lips feel so moisturized and fuller shortly after application, and even the minty scent is quite refreshing. I have also always been a huge fan of shea butter for my skin and lip products because of its nourishing and moisturizing properties, and that's exactly what I experienced with this mask. Luv it! From the moment you apply with the cool tip applicator, the minty fresh smell, and the hydrating gel-like consistency - the experience is pure luxury! I love reapplying this lip treatment throughout the day in the office because the air is super dry and the smell wakes me up and reinvigorates me without being overpowering. Plus, it keeps my lips pillow soft! Also if you like a glossy lip - this adds the perfect amount of sheen without being glittery or shiny. LOVE IT! I love the way the product glides on and the minty taste. It feels super hydrating and I can feel like penetrating my skin not just sit on top of it. It has super great benefits to lips and I think that lips are very underrated in the skincare regime. I just fell in love! It works to drastically condition lips, deeply moisturizes and improves the look of dry, chapped skin as well as giving plump! Loved it! . Love this product that, not only gives me plumper lips, but also hydrates! I have been considering lip fillers, but the price and fear of pain have kept me at bay. I was excited to try this as a painless way to avoid fillers and I'm so glad I tried it! I was expecting a tingly sensation like most plumpers, but I didn't feel anything! It's just like wearing a gloss. It feels super light on my lips and isn't sticky either! My lips seemed a lot fuller after using this daily! I received this as a gift, but all opinions are my own. I have been using this at night and have already noticed fuller lips after just a few days. I could not be any happier!